The Jomo Kenyatta International Airport in Nairobi will be upgraded to handle direct flights to the US by August. 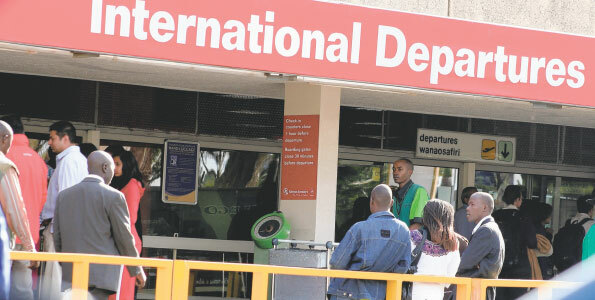 Transport minister Amos Kimunya on Thursday said he had held talks with a delegation from the US Department of Transport to resolve outstanding issues and ensure JKIA is accorded Category 1 status. “We hope to get the status by August. There is a schedule of things that have to be done that were agreed on,” said Mr Kimunya at the opening of a new British Airways lounge at JKIA. The quest for the elevated status was behind the controversial demolition of buildings obstructing aircraft flight paths that has been going on since late last year. Home owners in the Syokimau area were the most affected by the demolitions. “Part of ensuring security is clearing the area around the airport… We have to ensure the airport is secure,” he said. Category 1 status is a prerequisite for any airport to handle direct flights to and from the US. Security was one of the hurdles cited for Kenya not attaining the status that would see it attract airlines from the US. Last November, the Internal Security Ministry demolished homes and other properties in Syokimau, Kyang’ombe and Mitumba to clear the flight path for planes. The re-categorisation and restructuring of the Kenya Civil Aviation Authority (KCAA) to attract and retain qualified staff, especially inspectors, has also been speeded up to boost the airport’s status. KCAA has been losing workers due to lack of competitive compensation in an industry that is facing a major shortage of qualified personnel. The launch of direct flights by US-based Delta Airways aborted in 2009 after the US raised concerns over the safety of Kenya’s aviation installations and vulnerability to terrorist attacks. The lack of the Category 1 status has seen Kenya fail to take advantage of the June 2008 Open Skies agreement that was signed in Washington by officials from both governments. This entry was posted on January 26, 2012 at 5:41 PM	and is filed under Kenya. You can follow any responses to this entry through the RSS 2.0 feed. Both comments and pings are currently closed.